In my preparations to move abroad, I read quite a few articles about how toddlers may regress as a response to the change. 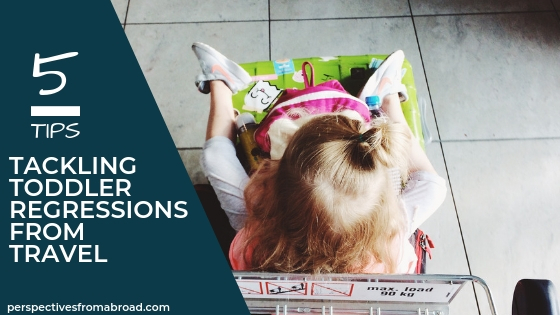 This didn’t seem incredibly far-fetched considering the mountain of articles offering tips to help parents transition their kids from cribs to big kid beds, into new rooms – IN THE SAME HOUSE – and with toilet training lapses. The consensus among the voices on the internet was that sleep, speech, toilet training, feeding, and general behavioral regressions were fair game. These same voices also made it clear that this behavior needed to be met with empathy, reassurance, support, and understanding (Seriously, who doesn’t need some of this?). I expected massive regressions since we traveled such a great distance and changed their routines so drastically. Despite knowing this would happen, I was still (somehow) woefully unprepared for the reality. Additionally, in true twin fashion, my girls chose different ways to regress just to keep us on our toes. In one of my previous posts, I eluded to how this played out early on with sleep. When that ship righted itself, it took an additional 3-4 weeks before we got their naps back on track. 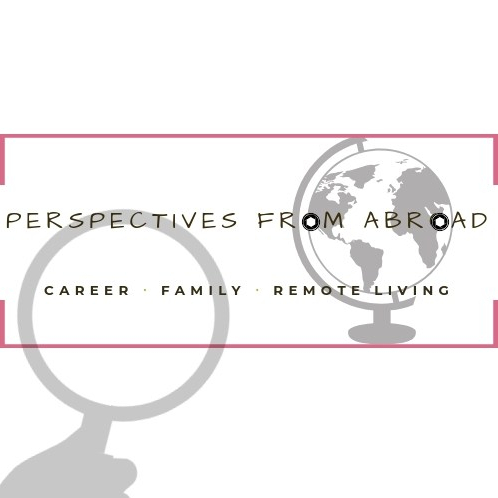 It helped to have an incredibly patient nanny to assist with implementing a schedule for them (More on finding your Nanny Poppins abroad another time). A cluster of travel over three months, which included a couple of weekend trips to Railay Beach in Krabi and two weeks in the U.S. around the Easter holiday, was the spark that set off an explosion of regressive behaviors because it was near impossible to keep their schedule. Since then we’ve seen all of the regressions mentioned above in response to just about everything. New school for summer camp, toilet training takes a back seat. One child gets a cold, the other decides she’s a baby. Let’s face it; it’s what kids do. For toddlers, one step forward in a particular area (“Yay for putting your shoes on the correct feet all by yourself!”) can mean two steps back in another area (“Did you pee on the couch AGAIN?”). From a parent’s perspective, it can be a confounding thing to witness and leave you uncertain of just how to handle it. After coming to terms with the unassailable fact that this is completely normal, the next inclination is to figure out how to make it stop, and fast (maybe that was just me?). Give each child some extra quality time. With twins, this can often be overlooked. Some days the hubby and I will split the difference with the kids to give us one-on-one time with each girl. Talk about and sympathize with her situation. She may not have the words to express herself, but all signs point to it being a good thing to listen to what your kids have to say. I mean, the conversations only get harder, amirite? Set realistic expectations and make sure all the adults in your children’s lives are on the same page. This can be tough, particularly with twins if you see one child consistently doing something that the other isn’t. Avoid comparisons at all costs and encourage other adults who care for them to do the same. Really make a show out of the positive things she is doing well. Adjusting to living in a new place can be just as difficult for a small child as it is for an adult. Celebrating all of our small victories have become a hallmark of how we come together as a family. Know when to let the kids sit one out. It’s tempting to spend a significant portion of your first year abroad visiting as many nearby cities and countries as possible with kids in tow so they don’t miss out on the discoveries. After the third or fourth airport meltdown, that rosy picture may become a bit frayed. You may need to leave most of the nomad life to the single and/or childless expats at first, but it’s still possible to fit in a getaway or two without the little ones. Once you’ve found trusted help and a core group of friends you can rely on, it may even be better to let the kids continue their usual routine while you get some time away. Each phase of your child’s development can seem endless, but it’s important to keep a cool head (and a chilled bottle of wine) in these situations. Chances are, everything will be fine in short order; and if the behavior persists in a troubling way, make sure to see a pediatrician.